This week saw 2 new FTTC lines were installed at a local training company on Rackheath Industrial Estate. One line will provide fast Internet access for the Offices which are soon to equipped with a New Windows 2012 Server and new workstations. 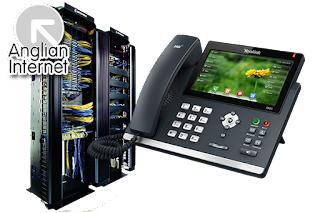 The VOIP Cloud based Telephone system will replace their aging ISDN phone system and will give much more flexibility for routing calls and out of office replies. If you would like any more information about the services we can offer please contact our business support team for a no obligation site survey.